Condos aren't mansions, but they are a perfect lifestyle fit for some, especially the younger generation that's always on the go. Sure, it’s less space, but they’re chock full of goodness. Condominiums you say? Nay. They are Condomaximums! Still afraid of the dark? I don’t blame you--it’s terrifying. But it’s nothing that the locked-down, buttoned-up security of a condo building can’t fix for you. With keyed entrances, on duty security, and security cameras, it’ll take an Ocean’s Eleven-type heist to get anywhere near your authentic Darth Vader replica costume. All that security leads to fewer break-ins and a warm, fuzzy feeling inside. Unlike the death trappiness of a home, you’re never far from people in your condo building. This really pays off when you have an emergency--like that time you got your foot stuck in the toilet. Convinced? Good. 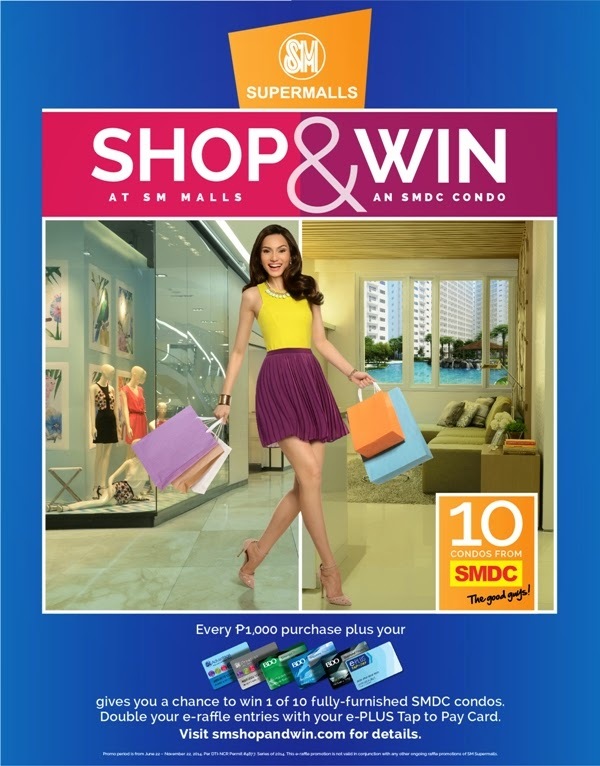 Do yourself a favor and sit back, relax, and rock a condo to the max with SM Supermall's SHOP & WIN PROMO, with 10 lucky shoppers winning 10 fully-furnished SMDC condominium units!